Peanut is our crazy little boy. 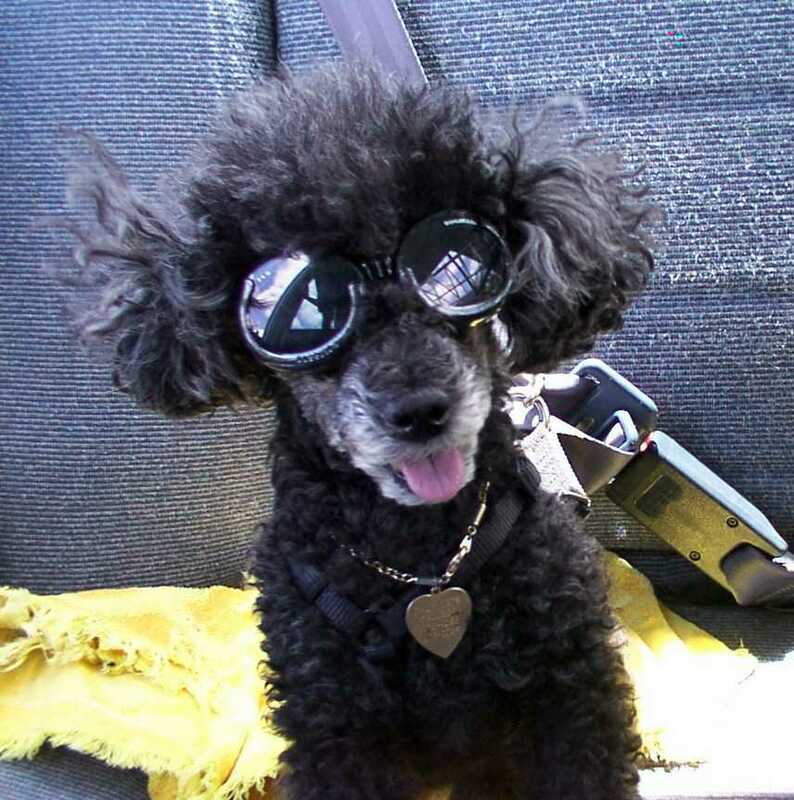 He is a registered toy poodle. He was born March 31, 1993. He is black. Now that he is getting up years he is more of a dark grey than a true black. Peanut came to us after living in an abusive home. He has had many health problems over the years but like a Timex watch, he takes a licking and keeps on ticking. How anyone could abuse such a cute little (Peanut weighs in at 5 pounds or about 2.5 kg) I will never understand.